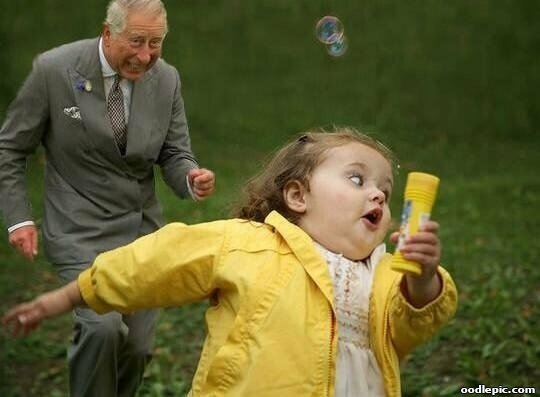 Little girl running away from Prince Charles. Big dog on couch trying to get away from small dog. 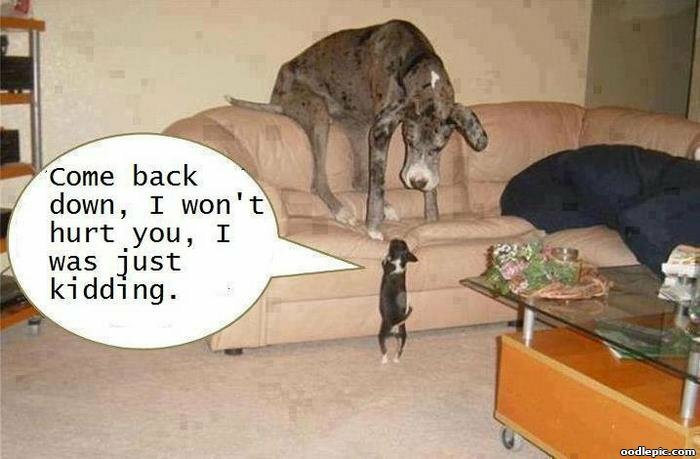 Small dog: Come back down, I won't hurt you, I was just kidding. 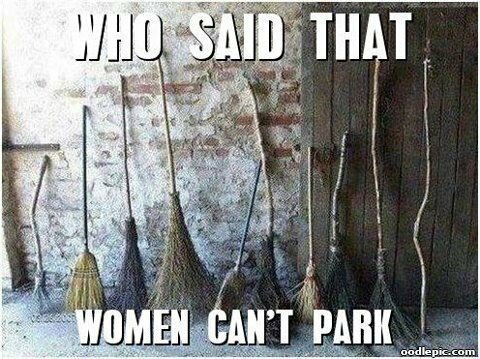 Line of brooms against wall: Who said that women can't park? 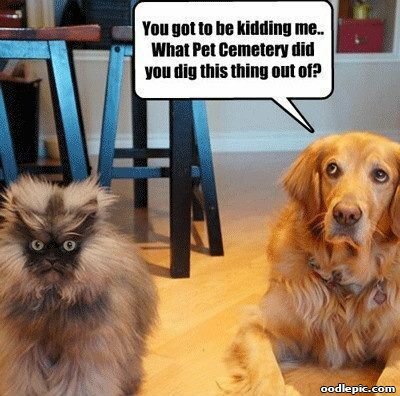 You got to be kidding me... What pet cemetery did you dig this thing out of? 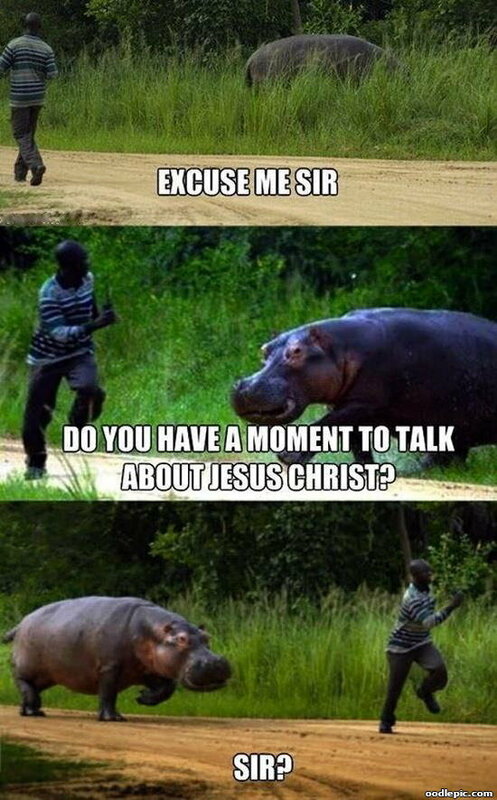 Hippo chasing man down: Excuse me sir, do you have a moment to talk about Jesus Christ? 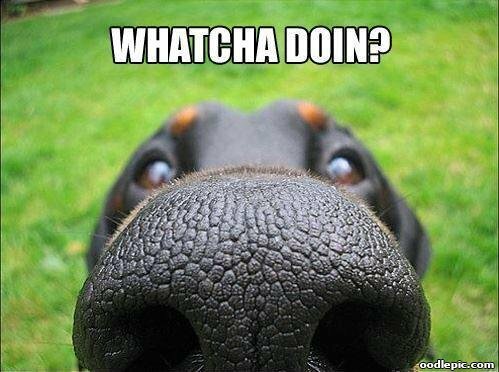 Sir? 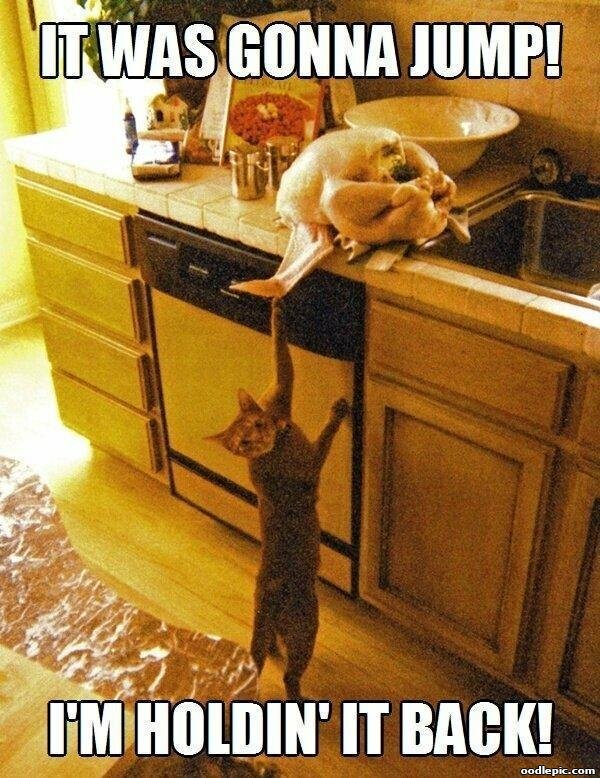 Cat pulling turkey off counter: It was gonna jump! 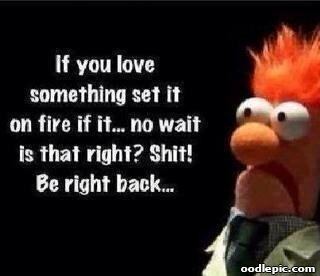 I'm holdin' it back! 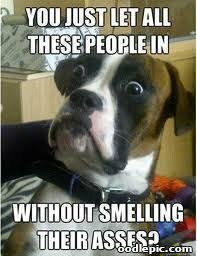 Shocked Dog: You just let all these people in without smelling their asses? Chihuahua: I'm not saying you're stupid. 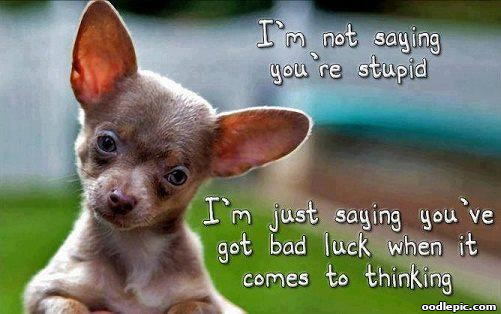 I'm just saying you've got bad luck when it comes to thinking.